Have you experienced the joy of fresh, homemade yogurt? No??? Come on over to our home, and we’ll serve some up for you. It is divine. I have been making homemade yogurt for over a year now with this stove top method. The stove top method is simple, and has no need for any special equipment. Recently I began experimenting with a crockpot, and have found it to be one of the easiest yogurt-making methods ever. Unlike the stove top method, there is no need to stir anything or keep an eye on the temperature. This recipe produces about two quarts of yogurt, which lasts us for over a week, and provides us with starter for the next round. I use fat-free milk, which produces a thinner yogurt, but it can be thickened by adding either unflavored gelatin or powdered milk. To attain thick, Greek-style yogurt, it can be strained through cheesecloth (and save the remaining whey to add to smoothies!). 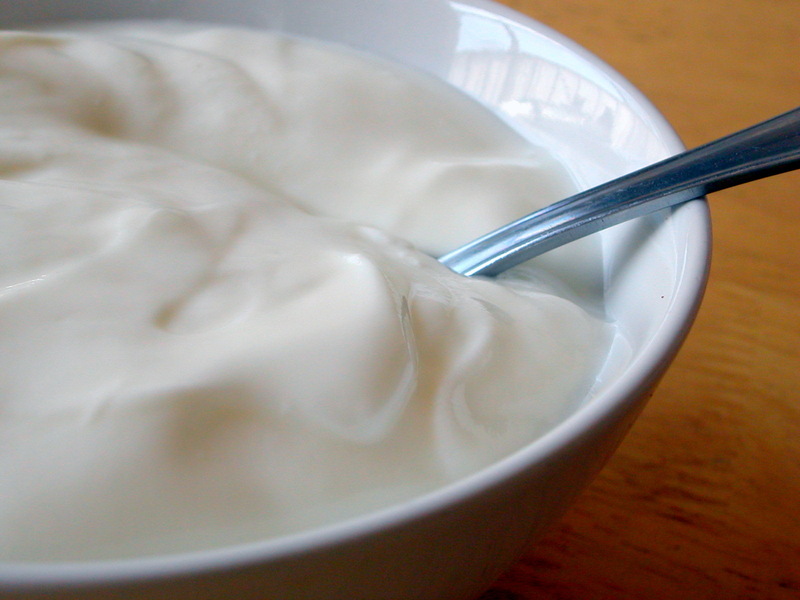 If possible, use organic Greek yogurt as the starter – the better the starter is, the better the yogurt will be. Blend with fruit to make a smoothie. Use as a substitute for sour cream. Puree it with fruit and freeze into popsicles. Add a dollop onto any warm meal, particularly Mediterranean, Middle Eastern or Indian dishes. Sweeten with a drizzle of honey, agave nectar or pure maple syrup. Eat with fresh fruit and toasted nuts. Turn on crockpot to low. Add half-gallon of milk. Cover, and cook on low for 2 hours and 45 minutes. Unplug crockpot, and let it sit for 3 hours. After the 3 hours, whisk in the powdered milk until well-mixed. Scoop out about 2 cups of the warm milk, and pour into a bowl. Whisk the 1/2 cup of yogurt starter into the milk, and pour it back into the crockpot. Stir to combine. Put the lid back onto the crockpot. Wrap the crockpot all the way around with a heavy bath towel. Allow the insulated crockpot to sit for 8-12 hours. Optional: strain yogurt through a colander lined with cheesecloth for thicker yogurt. Transfer yogurt to plastic containers, and chill in the refrigerator for at least 4 hours before serving. Makes about 2 quarts of yogurt. 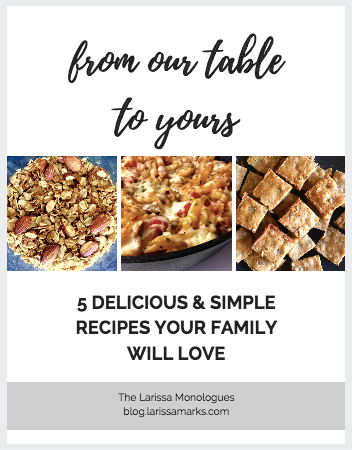 Larissa — I pinned this a long time ago, finally made it a few days ago, and then strained it to turn it into Greek yogurt. Soooo good! And probably the easiest way to make yogurt. THANKS!! Yup, this is still our go-to yogurt as well!